You may have travelled hours, days, weeks to reach the easternmost point of Australia, but once you’ve arrived my advice is: head south, then west. 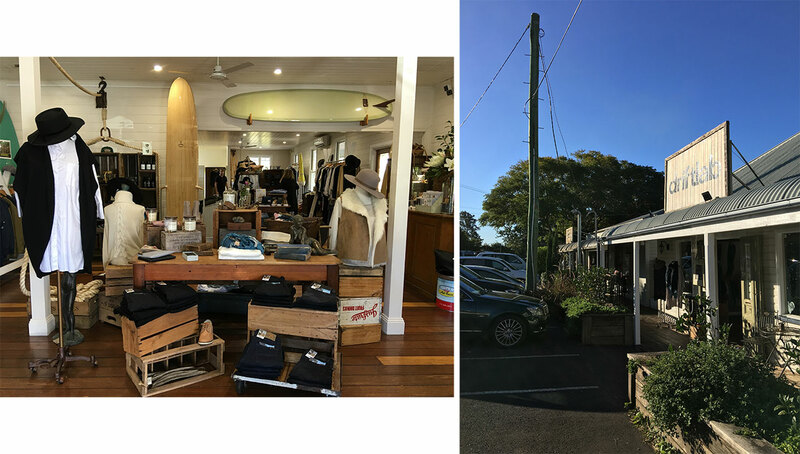 Though Byron Bay’s beaches are arguably amongst Australia’s most beautiful (and well documented), owing in no small part to their turquoise particulars, perhaps the region’s best kept secrets are hidden in its hinterland. It’s here, amidst a landscape of rolling hills and bucolic pastures fringed by verdant rainforests, that Byron – or at least the underlying ethos for which it’s renowned – comes into its own far away from the main streets lined with neverending skydiving opportunities. Though its obvious natural beauty is often accounted for when it comes to most (admittedly) futile attempts at explaining Byron’s magnetism, you’ll often hear locals and return visitors alike also attempting to describe the ineffable mystique that surrounds the place. Perhaps it’s because of the area’s significance as a site of healing and meeting for the Arakwal people, the traditional custodians of the land. Perhaps it’s because the land in the area, submerged in the basin of a volcano that has been dormant for some 23 million years, is apparently threaded with a black obsidian crystal and, supposedly, ley lines of great supernatural significance. Or perhaps it’s just ‘the vibe’. Whatever your beliefs, the area is doubtlessly rich in every sense of the word; panoramic fields of sugarcane and dense macadamia groves thrown like blankets across the foothills are testament to that. 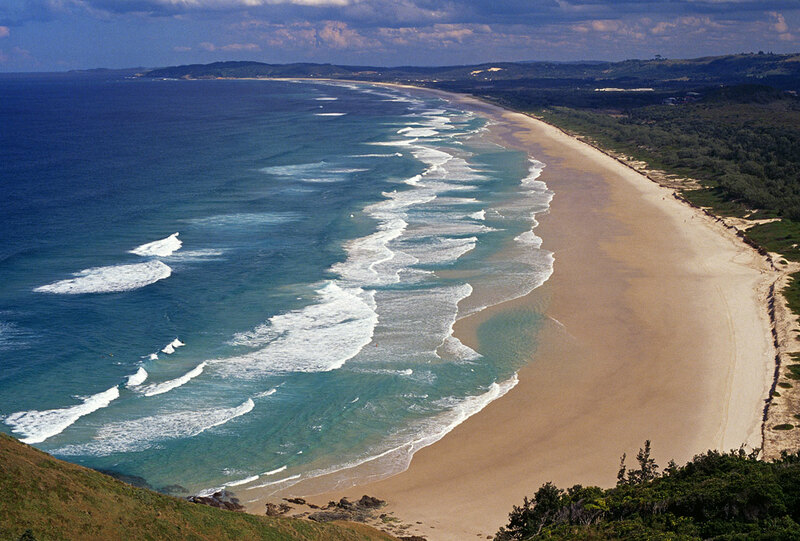 South of Cape Byron, Arakwal National Park forms a dense liminal barrier between these two adjacent worlds of bush and beach – in this case, Tallow Beach – a vast expanse that crescendos at the country’s eastern limit. Just south of Arakwal and a short drive out of the township is one of the region’s most lauded resorts, The Byron at Byron. Set on a mammoth 45 acre plot of subtropical rainforest, the Byron’s relative solitude and easy proximity to town makes it the ideal place in which to both decompress and disembark into an orbit of the surrounding region. A landscape teeming with as much life as this warrants a resort that’s just as committed to preserving its very richness. 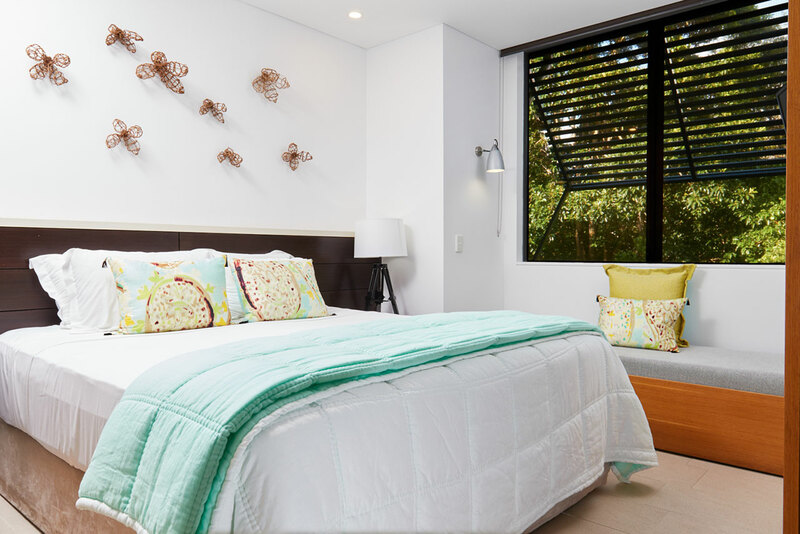 The 92 suites, which sit squarely in the middle of the rainforest reserve in blocks of four connected by raised wooden boardwalks, are sustainable and self-contained treehouses, each of which resembles something closer to a small apartment than a hotel room. As such, they’re fully equipped to cater for an experience akin to being at home: a fully operational kitchen includes two rare amenities – a dishwasher and Nespresso machine; the bathroom boasts a freestanding tub that gives the pool facilities a run for their money; and the bedroom, which you arrive in through a sizeable walk-in wardrobe, is impossibly comfortable – opening up as it does onto an uninterrupted view of the surrounding rainforest. At night, the effect is akin to sleeping amongst the treetops – a feeling that carries through to the resort’s communal spaces. The reception, deck, spa and restaurant area are skirted by a vast wraparound timber deck where each morning complimentary yoga classes look out onto a pool that laps at the fringes of the forest. Much like the remainder of the resort itself, the deck area is sizeable enough to cater for the resort’s considerable clientele, yet peaceful enough that you’d forget they were ever there. It was at the resort restaurant during a meal of organic saltbush lamb shoulder prepared by Head Chef Gavin Hughes – an advocate for regional producers and the Byron Farmers’ Market – that I struck up a conversation with a local who, true to the spirit of the region, shared with me what they considered to be its best kept secret. Their recommendation came, essentially, as a way of deterring me from visiting a much more popular dining destination in the region. Head into the hills, was their advice, and steer well clear of the venues that, while ostensibly authentic in their appearance, lack the soul and depth of feeling that’s so quintessentially ‘Byron’. Newrybar was their recommendation for a daytrip most indicative of the spoils of the area, and having heeded their advice I can now vouch for its value. A sense of otherworldliness has long surrounded this part of the country, but recently, the very things that made the region seem provincial— its tree-smothered landscapes; its satellite hamlets— have given it a new life as a destination for the culture crowd and the food-obsessed. 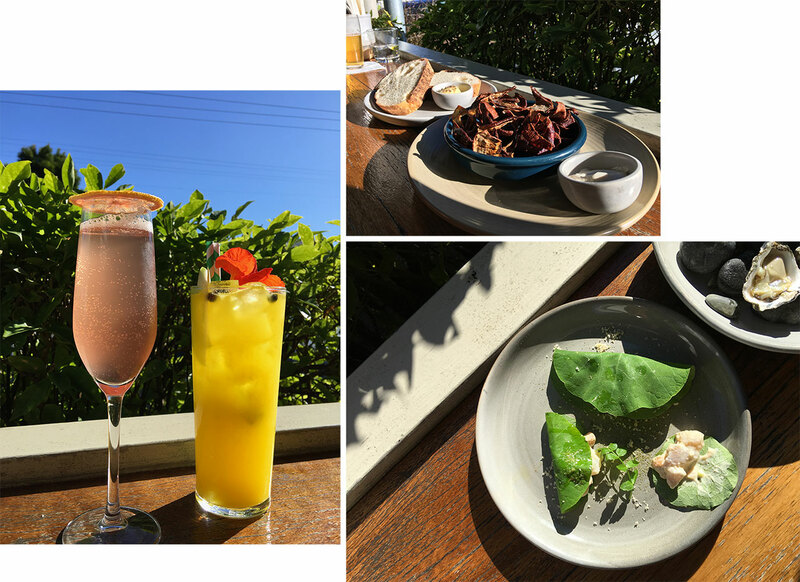 These days, the areas around Byron Bay are gaining notice for their restaurants, many with a pedigree and waiting lists to rival their cosmopolitan cousins. Though the village is essentially comprised of one major street, Newrybar is one such destination that contains multitudes enough to accommodate a larger town. To hear local residents tell it, much of this is owed to the small businesses that anchor the main street, chief amongst them Harvest, a restaurant come café and deli, and Newrybar Merchants, a thoroughly enchanting outpost. 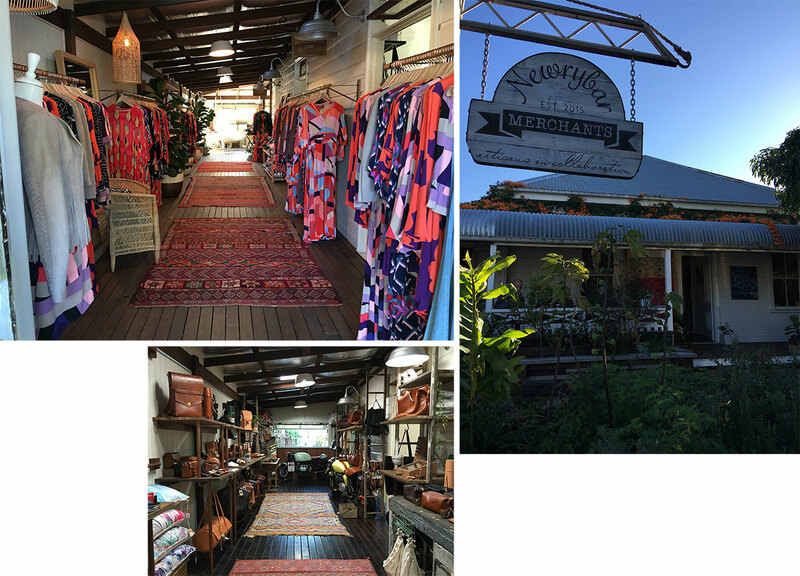 The latter, a collaborative retail space that trades predominantly in the designer lifestyle and homewares market, only opened last year but already houses a collective of artisans with decades of experience. Internationally renowned interior stylist and author, Sibella Court and her highly successful venture The Society Inc have established an outpost of covetable objects for the home and garden; Shannon Fricke and Jason Grant, two other widely respected interior stylists, have also set up shop in the revamped cottage, the labyrinthine rooms of which provide an ideal backdrop on which to showcase their signature linens and homewares. The longest established floral design studio in the region, Beautiflora, also holds court, as does South African born abstract artist Diana Miller, whose work appears across a range of textiles. Another Cape Town import, Wolf & Maiden, sells luxury accessories; Tigmi Trading similarly sells rare Berber rugs and curiosities sourced from Morocco, all of which is sure to have you poking throughout the rooms for hours. 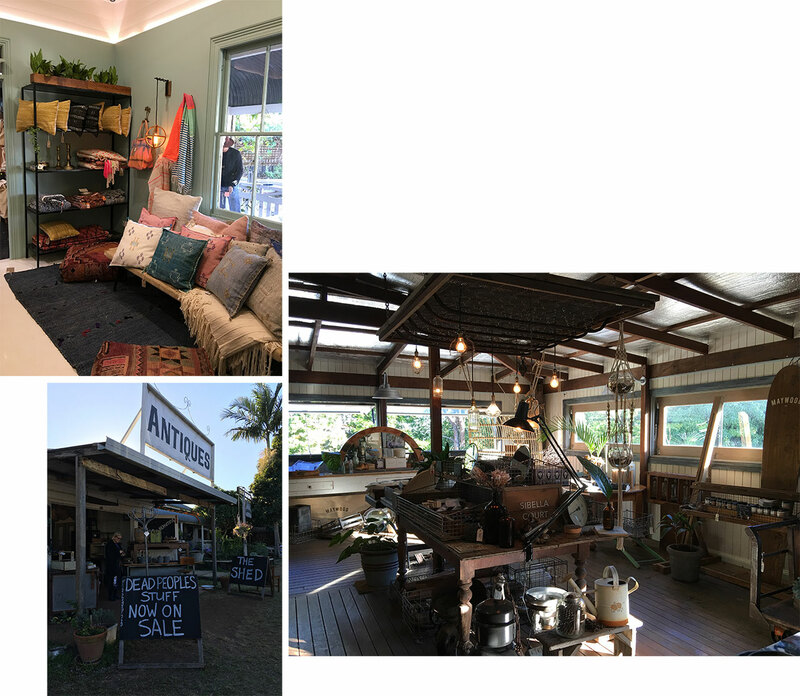 Having quelled any doubts as to the whereabouts of your appetite, head directly across the street to Harvest, a farm-to-table restaurant masquerading as a café where Australian actress Margot Robbie recently celebrated her nuptials. In Summer, opt for a perch at the balcony bar under a wide awning, or (better yet) in Winter, take up residence on an expertly aged leather armchair by an open fire and observe an even more open kitchen in full swing. Expect to see fantastic herbs and vegetables grown in the nearby kitchen garden and on the restaurant’s organic farm. Between courses, swing by the Harvest Deli next door, where the restaurant’s meat and cheese is aged, and products from the region’s producers are sold in exactly the kind of abundance you’d expect. Back in the restaurant, give in to the smell of freshly baked sourdough bread cooked in a 150-year-old wood-fired Scotch oven and served on local ceramicist Brooke Clunie’s spectacular wheel thrown ceramics (her studio is nearby and worth a visit), freshly shucked oysters served with finger limes (provided they’re seasonal) or one of the bar staff’s signature cocktails. On the day I visited it was a gin infused play on Jamu, a traditional Indonesian elixir made from turmeric and used to ward off inflammation and detoxify the liver. The result was a drink that feels as idyllic, restorative and vibrant as the region itself – both of which are definitely worth ordering second rounds of. Grazia stayed at The Byron at Byron as a guest of the resort. For more information on the resort, head here.